Executive Director Valerie Van Kooten tells KNIA/KRLS News the display explores immigration through a series of banners that feature objects, skills, and traditions that were brought. It will be on view starting today, through November 9th. There will be a free talk about the exhibition on Tuesday, October 23rd at 7:00pm at Scholte Church. 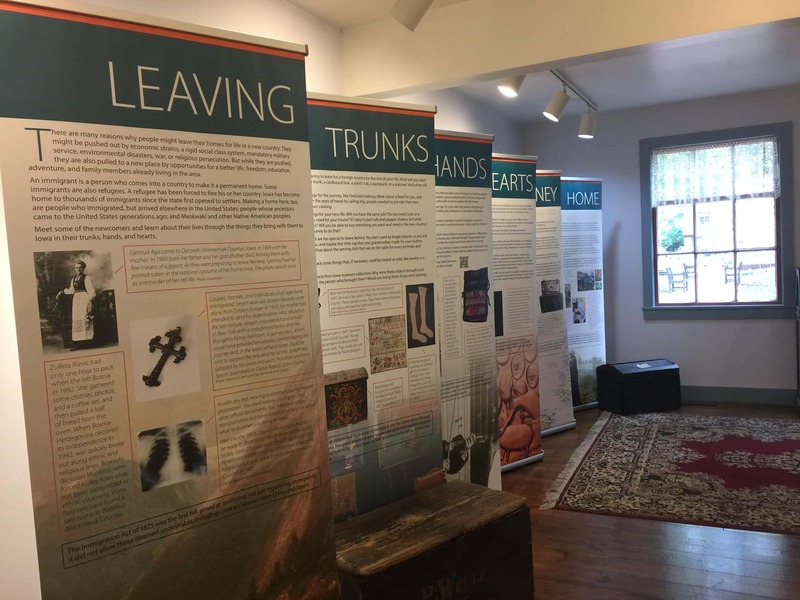 Thirteen museums and organizations shared stories, artifacts, and historic photos for this traveling banner display; from Pella comes the trunk that the original 800 settlers used to store their gold on the journey. The exhibition was created by Vesterheim Norwegian-American Museum in Decorah, Iowa, and is sponsored by Humanities Iowa, the National Endowment for Humanities, and Edwin R. and Joan T. Hemphill.